All young directors are hungry to produce big, challenging work by great writers; it’s why so much great Shakespeare gets produced on the fringe. But when you’re working with texts that are still in copyright the task becomes much harder – and costlier. Arthur Miller is the writer whose work I have longed to produce. 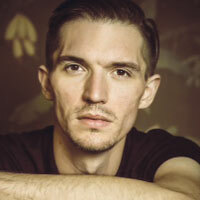 Apart from being very expensive, the rights to his biggest plays are nearly always prohibited because they are constantly being performed. It’s a one in a million chance you’d be granted them. You could veer off the beaten track, and try to stage a more obscure work; Miller was prolific, and most of his plays are revived less often, so you might be able to afford one of these. Problem solved? Yes, but now you have a new problem; the more obscure the play, the harder to generate an audience. There is one other option though. It’s much harder, but the rewards are rare diamonds: discover a lost play. 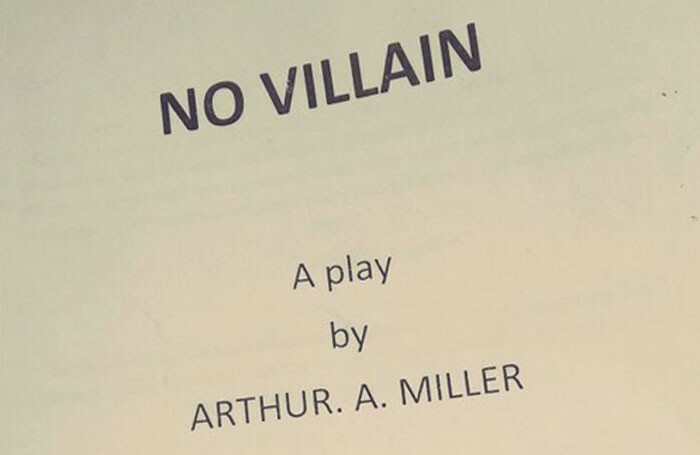 I wish I could say I was always on a search for No Villain, Arthur Miller’s very first play, which I uncovered earlier this year, but I wasn’t. I had previously tried to acquire rights to two other early plays, A Memory of Two Mondays and The Man Who Had All the Luck, as well as a later text, Incident at Vichy – all without success. Only then did I start to get really creative. I remembered Miller’s passing reference to No Villain in his autobiography. He explains how, over six days during spring break 1936 at the University of Michigan, he sat down and attempted to make a play. The aim was to win the Avery Hopwood award and, more importantly, the $250 prize that would allow him to return to college the following semester. It’s a great story, but leaves one question unanswered: what had happened to the play? I began the process of finding the script by ringing Arthur’s agent (Patrick Herald) and the Miller Trust who were honest in saying they had never heard of it. I feared it was lost to time, but persevering, I searched the University of Michigan’s vast and comprehensive libraries. After a few weeks’ research they unearthed Miller’s original hand-typed copy. It was quite a thing to behold, but I felt sure I would be disheartened within a page or two. I was wrong. It is a revelatory early play and a vital addition to the repertoire. A few months later, the Miller Trust granted me the rights to produce the world premiere in London this December. It has a reputation for closely guarding Miller’s work, but my experience has been of nothing but support and enthusiasm. I’m not the first, and I certainly won’t be the last, to discover a new work by a master. If you’re passionate about the writer and willing to put in the hours, you can still make discoveries that will astonish and excite – and finally get to direct your Miller.